Carp fishing, in general, has three very important aspects in my opinion. Firstly finding the carp, secondly using top quality bait and lastly a well-presented rig. Adapting your rig to the specific conditions you fish (silt vs. gravel for example) will often give you an edge. I’ll be discussing a few of my personal favourite rigs, and the conditions I fish them. This style of fishing, in my opinion, is the most effective. In most situations all the bait offered would be lying freely on the bottom, therefore making it more difficult for them to distinguish between freebies and your hookbait. This approach is especially effective over large beds of bait. My rig of choice is normally constructed with a size 6 short shank curved hook, a micro swivel sliding on the shank followed by a hook bead. 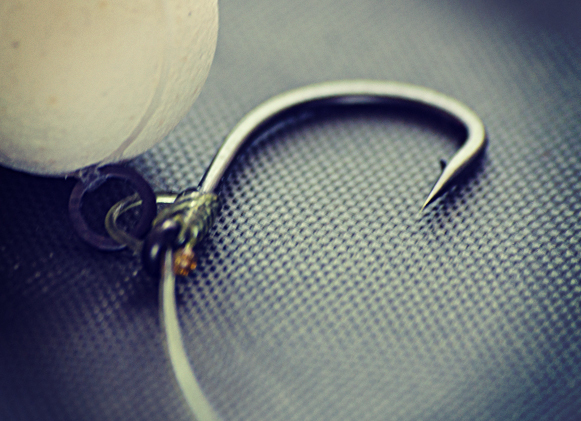 The hooklink is 15lb-25lb coated braid, stripped back about 1.5cm, and pinned down with some tungsten putty. Bottom baits are generally most effective on solid bottoms like gravel, sand or clay, but I have also had some great results fishing bottom baits on silt. When thinking of popups, two rigs come to mind immediately. Firstly, the very popular Chod Rig fished on a helicopter style lead system and secondly, the Hinged Stiff Rig; the latter being a regular part of my armory. I favour the Hinged Stiff Rig purely because of the lead placement. No matter which direction the carp swims, it will come into direct contact with the lead almost immediately. It also allows you to drop the lead, which is often needed when fishing weed or grass. Single popups fished amongst weed or grass have been a proven tactic, especially when fished in conjunction with solid PVA bags. The Hinged Stiff Rig has also been labeled a ‘big fish’ rig. The argument being that smaller fish feed closer to the bottom, thus having a better view of baits suspended off the bottom causing them to avoid the bait completely. Popups can be fished in almost any situation, but I have found that they are most effective when trying to entice a bite quickly from one or two passing fish. The Hinged Stiff Rig fished with a bright popup and a small PVA stick has accounted for many of my memorable catches, especially casting to showing fish. Sometimes you need to adapt to conditions other than the bottom you are fishing on. By that I mean other factors that sometimes influence my fishing. Example, when fishing a venue with a large population of fish (small carp or other nuisance species), it often helps to fish really big and hard baits. It also sometimes happens that the carp don’t feed much, or they feed very warily due to various reasons, which would then necessitate a change in tactics i.e. small baits like plastics. As many of my fellow anglers would know, I am a firm believer of fishing really big hookbaits. No matter the situation, one rod will always be rigged with a big hookbait – anything from a 25mm boilie to two 30mm boilies. The key to fishing these big baits successfully is to ensure the presentation is good and rig mechanics are just right. 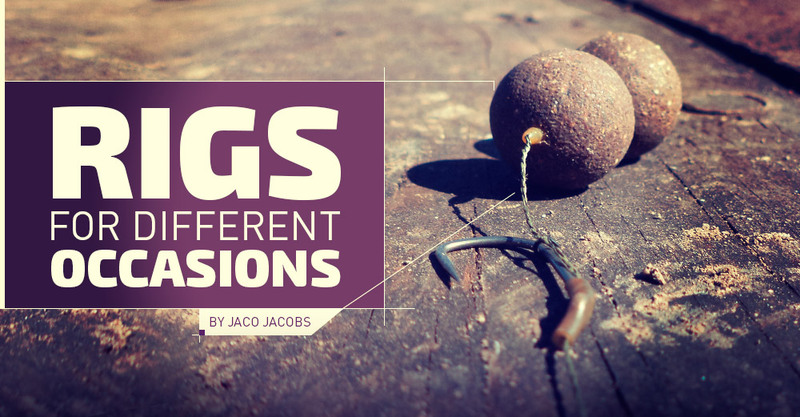 Bigger baits mean you need a bigger gap between the bait and the hook to allow the hook enough space to turn properly. When using double baits, it can be advantageous to leave a space between the two baits. This serves two purposes: firstly it appears more natural in the sense that it mimics the free offerings, secondly the carp find it harder to eject as they roll the baits over in the mouth. On the opposite end of the spectrum, very small baits have also landed me a few good fish. My choice, when opting for smaller bait, is normally two pieces of popup imitation maize. The rig used is very similar to the bottom or balanced bait approach, the only difference being a small rig ring replacing the micro swivel. Fished on a size 6 or 8 hook, the imitation maize will sit in such a way, that it almost covers the entire hook. This approach has been very effective when the fish aren’t feeding heavily or are very wary. 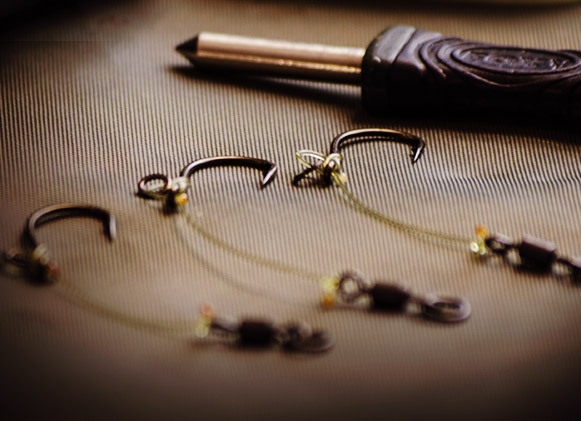 The best way to select the suited rig for the situation is to do proper water crafting. You need to know what the bottom looks like where you are fishing. You wouldn’t want to make all the effort and cast into thick silt for instance, rendering the rig completely ineffective. 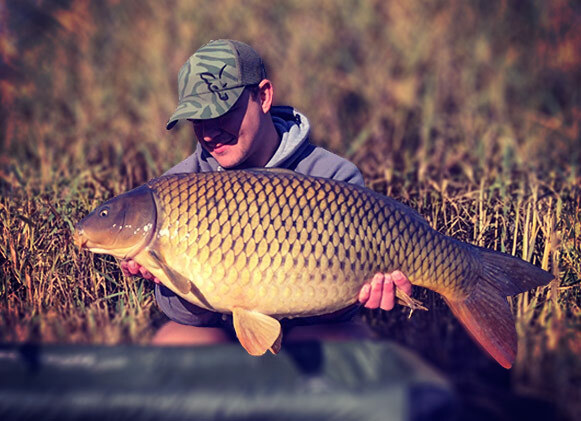 Weather conditions affect the carp’s feeding habits and therefore indirectly also affect the rig selection. High-pressure systems normally have the carp hanging around in mid-water or even on the surface. In these situations, Zig Rigs come to mind for example. Doing your homework before just blindly casting into the water is a very important part of rig and bait selection. Have any questions? Email us at info@carpfever.co.za or leave a comment below.